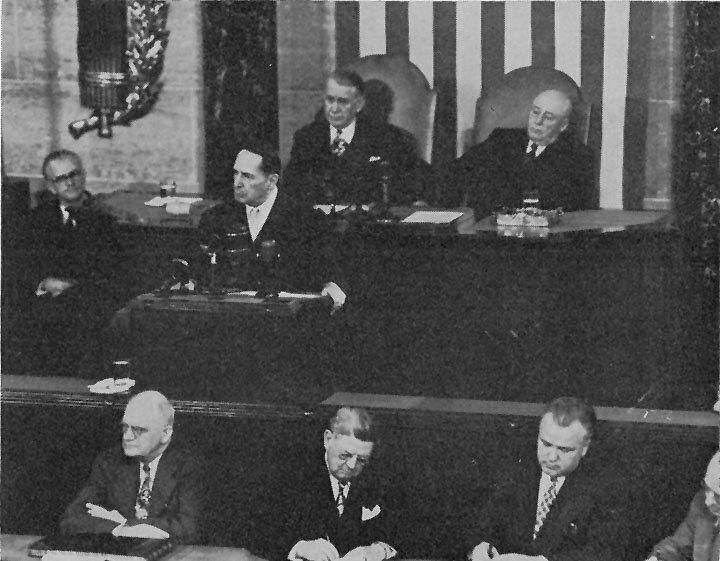 General MacArthur addresses Congress in April 1951, the day of his arrival in Washington from Japan. Behind MacArthur are Vice President Alben W. Barkley (left) and Speaker of the House Sam Rayburn. This work is in the public domain because it is a work of the United States federal Government. This applies worldwide. See Copyright. This page was last modified on 13 March 2007, at 15:04.